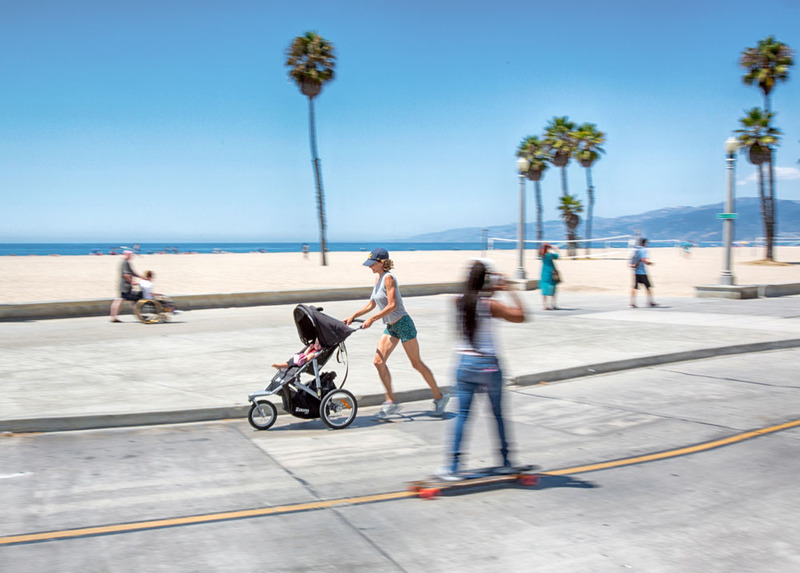 For decades, the vibrant, eclectic Ocean Front Walk on Southern California’s famous Venice Beach has a well-earned “anything goes” reputation. 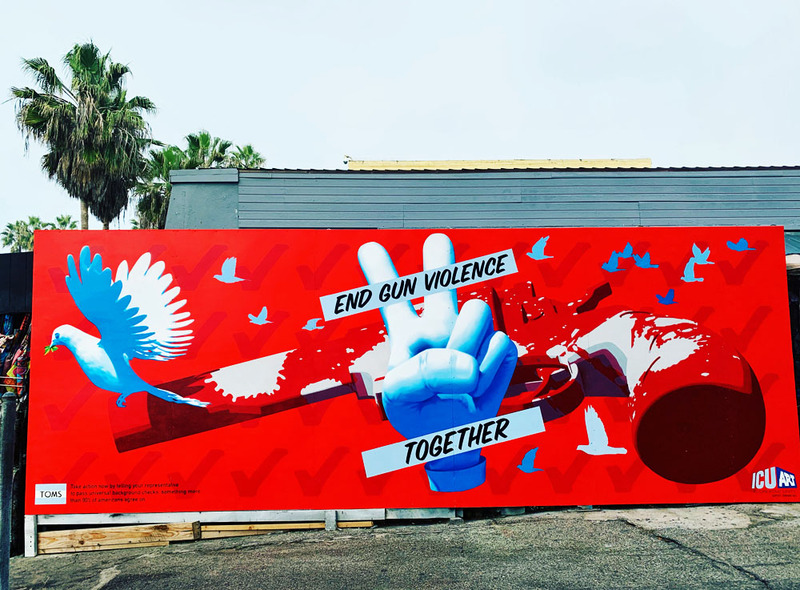 This is where dozens of large, beautifully painted murals and colorful graffiti, tattoo artists, street peddlers, sidewalk musicians, surfers, skaters, shopkeepers and tourists share a few miles along this seaside Los Angeles neighborhood. And yet Venice is so much more. 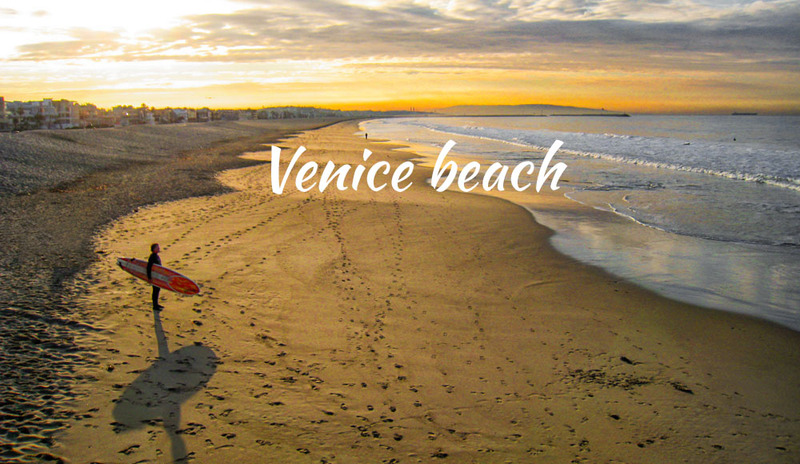 Once you’ve zig-zagged through the most bustling sections of the Ocean Front Walk and head south past Muscle Beach and the nearby basketball courts, Venice Beach delivers a more residential, peaceful atmosphere. 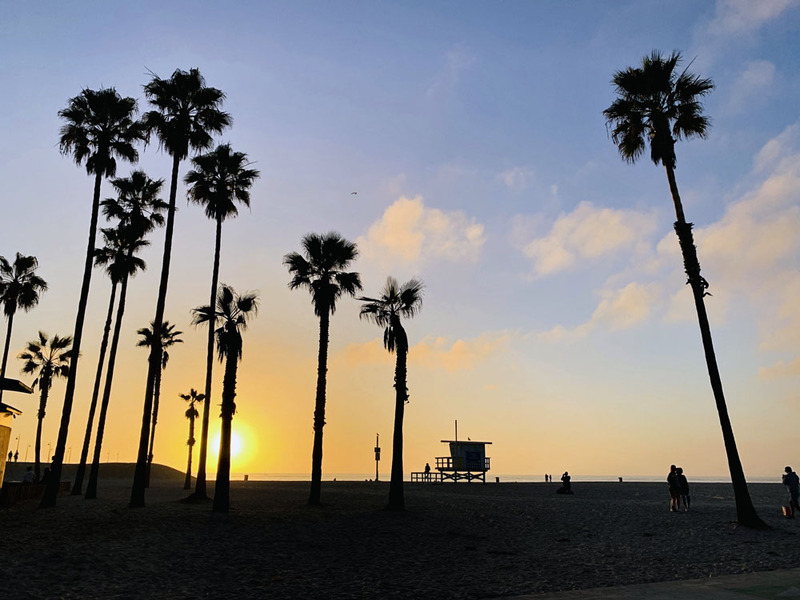 Swaying palm trees stand tall in front of a long ocean-facing row of architecturally diverse and astronomically expensive houses and condos that stretch all the way beyond the popular Venice fishing pier on Washington Boulevard. After returning from a stroll on the pier – which offers great views of surfers on either side – there are a dozen or so restaurants, cafés and shops to choose from, most notable perhaps “The Cow’s End” or, simply, The Cow, a popular breakfast hangout with a extensive menu of coffees, fresh bagels, smoothies and bakery goodies, including an almond croissant from heaven. 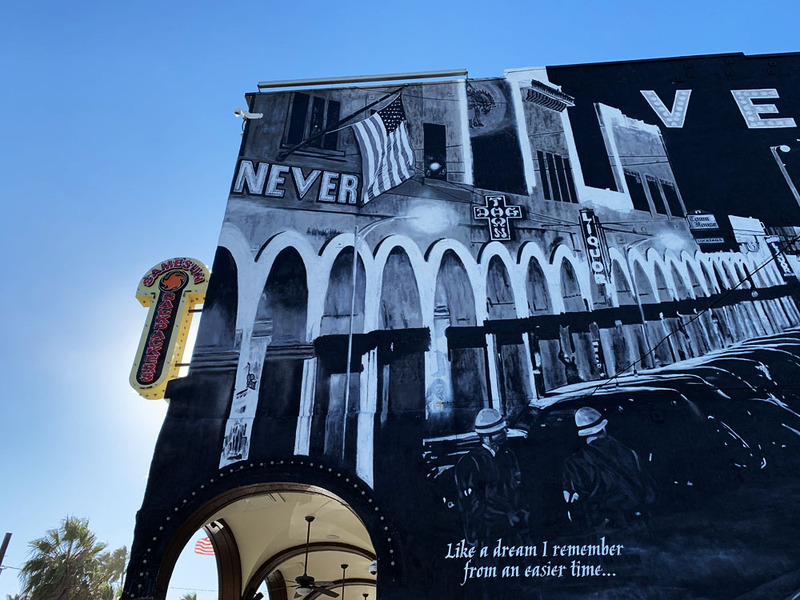 Once the coffee fix has been taken care of, walk a couple of blocks north-east to the beautiful Venice Canals Historic District built in 1905 by developer Abbot Kinney and made famous by the TV show, Californication, starring ‎David Duchovny . (star from The X Files). 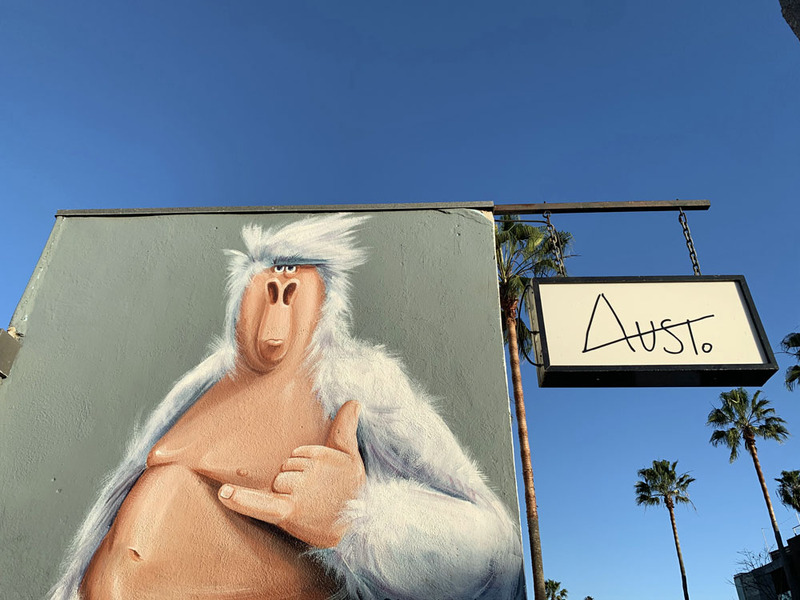 Just east of the canals is Abbot Kinney Boulevard, arguably the westside’s most popular hangout and shopping destination. 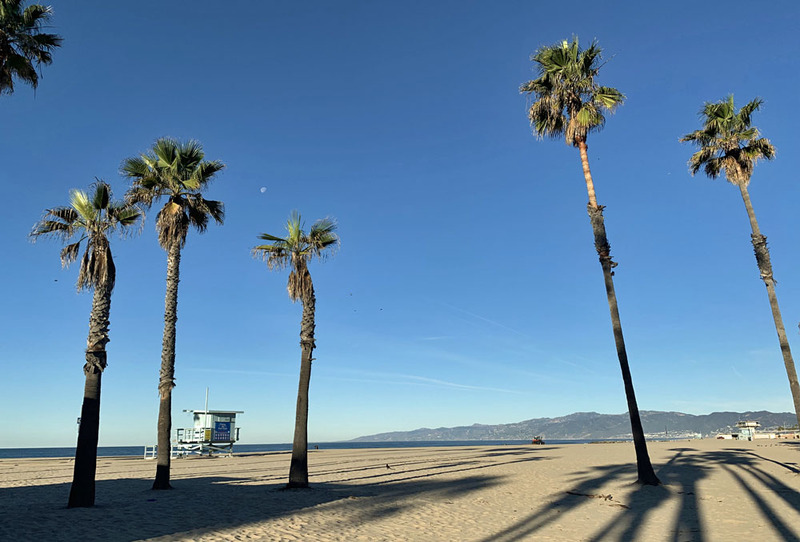 Whereas Santa Monica’s Third Street Promenad boasts dozens of fancy flagship stores and expansive showrooms from brands like Apple, Nike, Tesla and Urban Outfitters, Abbot Kinney’s offerings are smaller and chicer in a laid-back – yet barely affordable – Venice kinda of way. 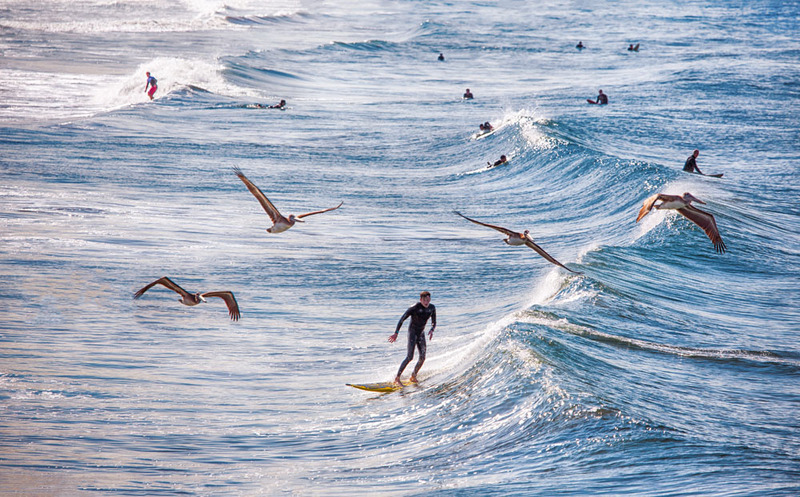 It’s this spectacular diversity that makes Venice Beach my favorite place to stay when in Los Angeles. 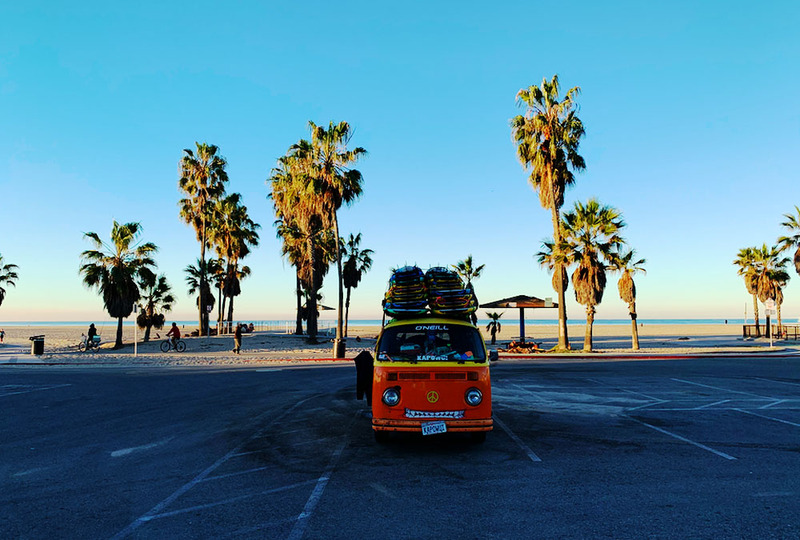 And though not everyones cup of tea, I think Venice provides a wonderful variety of crazy, cool, vintage and new when compared with other neighborhoods in L.A.
16 newly renovated, beachfront suites are conveniently located in the heart of the most famous beach in Los Angeles. 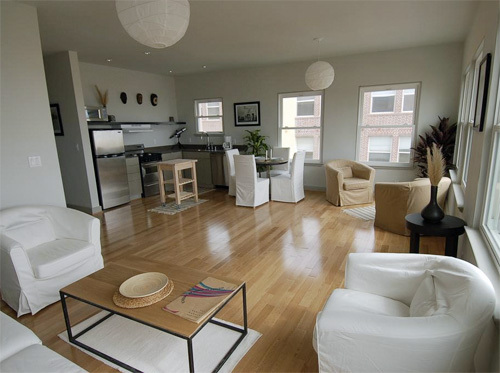 With a condo-style suite, you get all of the convenience of a home with the luxury of staying at a boutique hotel. 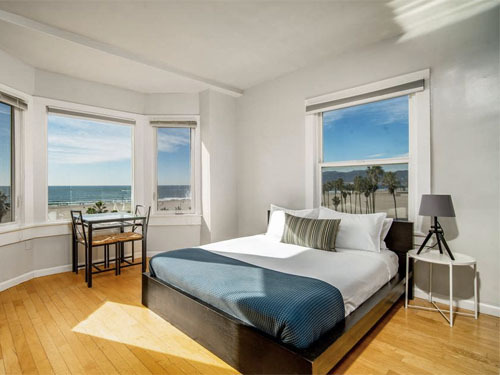 At The Kinney Venice Beach hotel, our house is your house. 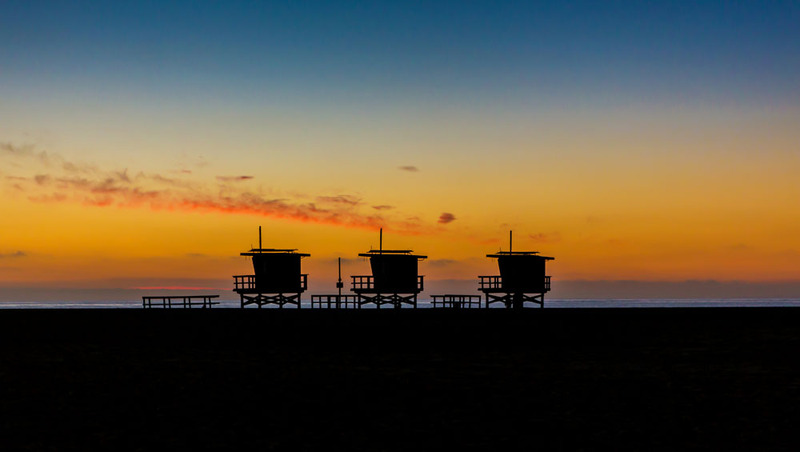 Let our LA hotel be your tour guide; your adventure guardian; your party starter; your fun in the California sun. 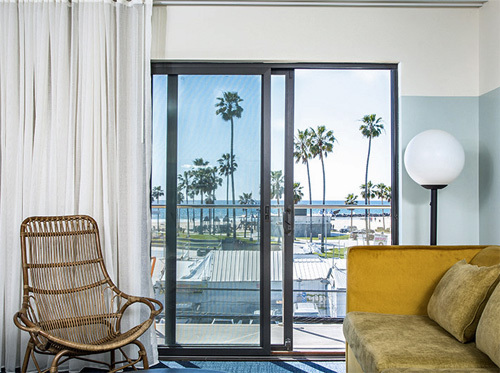 With 68 bold guest rooms and shared spaces, gather your squad and start the party at The Kinney – offering the best of Venice right at your fingertips. 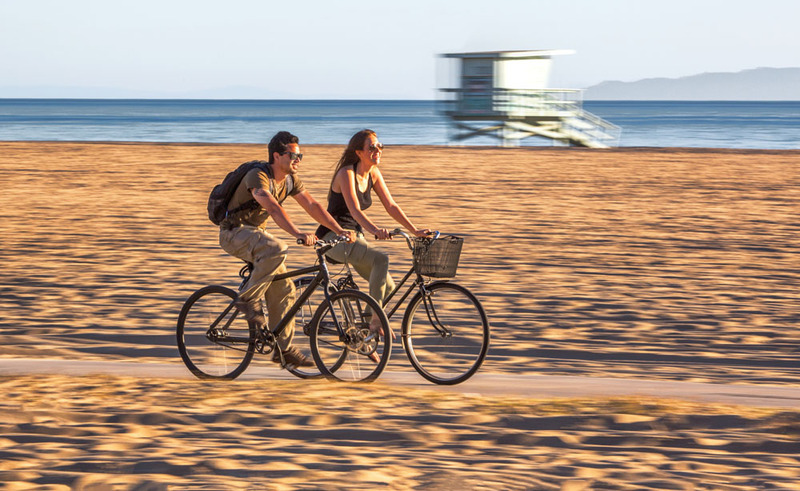 With a choice location on Ocean Front Walk in world-famous Venice Beach, AIR Venice captures the essence of a sophisticated, casual and contemporary beach culture and lifestyle experience. 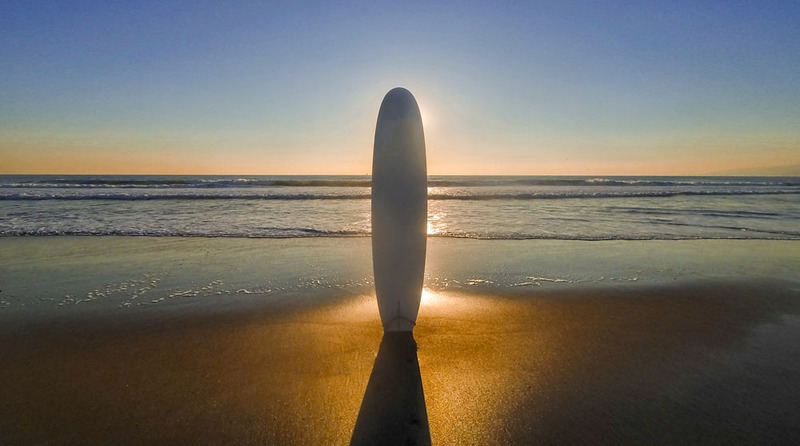 Surrounded by ocean breezes, panoramic views, seaside dining, shopping, and nightlife. Enjoy the ultimate blend of casual comfort and beachfront luxury featuring contemporary apartment- inspired rooms. 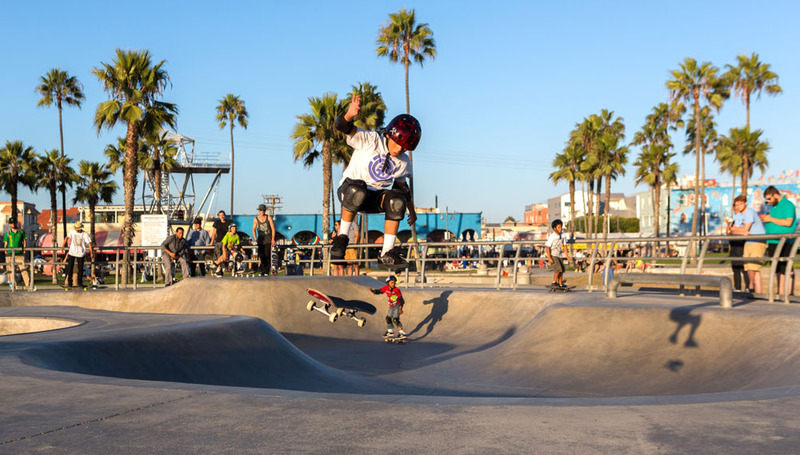 Venice Beach has always been an icon of American subculture. 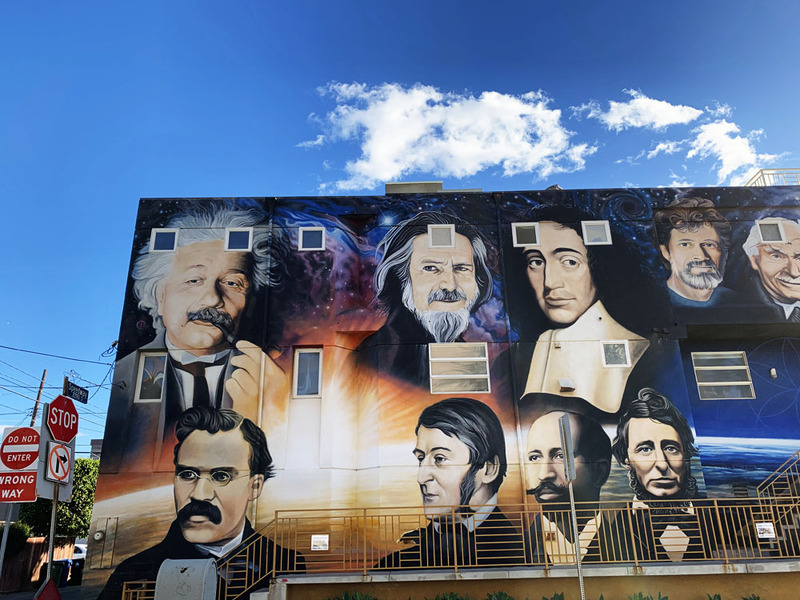 It’s a unique combination of seaside beauty, urban energy, and people who aren’t afraid to express themselves. 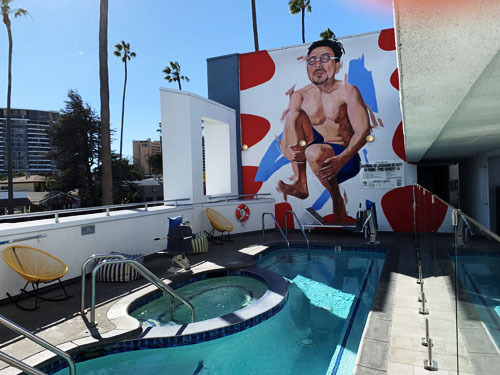 For the past five decades, Hotel Erwin has been a window into this wonderfully weird world, welcoming travelers of every description from across the globe. 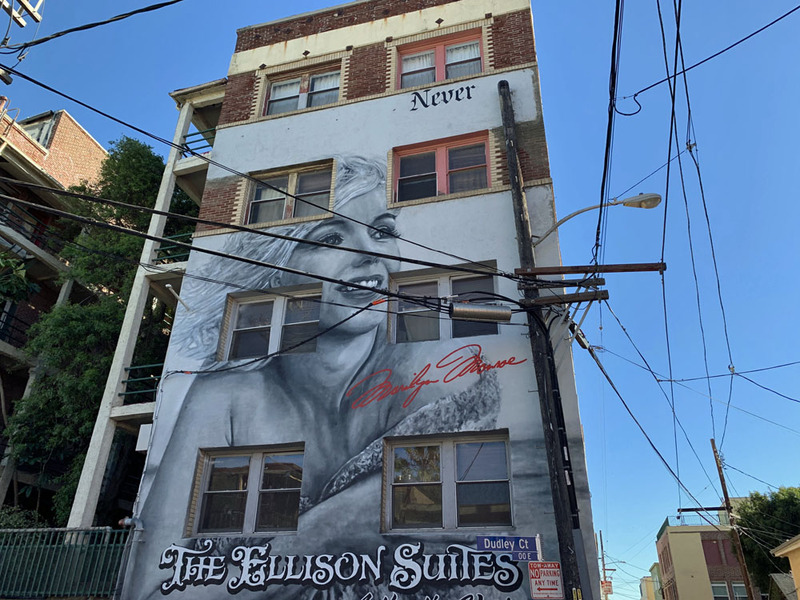 From our friendly, approachable vibe to our eclectic, diverse atmosphere, find out why Hotel Erwin is still the only place to stay in Venice Beach.